Grand Master Elmer Murphey, III was born in Houston, Texas on March 19, 1945, the only child of Elmer Murphey, Jr. and Amelia Elizabeth Gehring Murphey. Elmer’s father was a union electrician at Petro-Tex Chemical Company located on the Houston Ship Channel. His mother, while initially a homemaker, eventually worked in and later supervised a cafeteria in an elementary school in Pasadena, Texas. Brother Murphey attended Garden Villas Elementary School, as did his father before him. Following his graduation from Jesse H. Jones High School of Houston in the Spring of 1963, Brother Murphey entered Southern Methodist University in Dallas where he received a Bachelors Degree in History in May, 1967. He entered the Southern Methodist University Law School in the fall of that year. In the summer of 1969 he attended the U.S. Marine Corps Platoon Leaders class in Quantico, Virginia, and was commissioned a Second Lieutenant in the Marine Corps. He then returned to Southern Methodist University to graduate with a Juris Doctor Degree in May, 1970 and was admitted to the State Bar of Texas in September of that year, during which time he was promoted to First Lieutenant in the Marine Corps in the fall of 1970. He later reported to the U.S. Marine Corps Basic School for Officers at Quantico, Virginia in March, 1971, and upon graduation was promoted to Captain. Following various assignments he was elevated to Staff Judge Advocate, or senior attorney at Marine Corps Air Station, Beaufort, South Carolina. In January, 1975 his active service as a Marine ended, but he remained in the Marine Corps Reserves until 1981. Upon separation from the Marine Corps, Brother Murphey returned to Dallas where he joined the law firm of Stigall, Maxfield and Collier as a trial lawyer, later to become a partner and eventually became managing partner. Judy taught English at Garland High School until 1985 where she chaired the Departments of English, Reading and Foreign Languages. Brother Murphey joined the law firm of Strasburger & Price, LLP as a business and banking partner in 1989, and presently chairs the Financial Services group within that law firm. Elmer and Julianne (“Judy”) Schaub of Mobile, Alabama were married on May 25, 1968, the day before Judy received her Bachelors Degree in English at Southern Methodist University. She received her Masters Degree from SMU in 1970. Both of their sons were born during Brother Murphey’s service in the Marine Corps. Matthew Robb (“Matt”) was born August 15, 1971 and is currently a Garland, Texas policeman, a volunteer fireman in Rockwall, and a helicopter pilot for the Garland Police Department and the Texas Department of Public Safety. Mark Ryan was born June 4, 1974, and is currently an investigator with the World Wide Security Group of Texas Instruments, Inc. in Dallas. Both of their sons played soccer from age five through their college years. Since 1987, Judy has served on the Board of Directors of the Dallas Cup, Inc., an international youth soccer tournament, and is the current President of that group. Elmer and Judy have two lovely daughters-in-law, Veronica (Matt) and Jenny (Mark) and four grandchildren: Courtney, Luke, Logan and Lauren. In addition to his admission into the State Bar of Texas, his professional affiliations include admission to the U.S. District Court for the Northern and Western Districts of Texas; U.S. Military Court of Appeals; Dallas Bar Association and American Bar Association, and the Texas Association of Bank Counsel where he served as Director in 2000-2003. Elmer has served as Chairman of the Greater Dallas Crime Commission, a civic group dedicated to supporting law enforcement and defeating the root causes of crime. Brother Murphey has been well established in Masonic teachings from the days of his youth. His father, (who died in 1990 in Humble, Texas) was raised as Master Mason in Woodland Lodge No. 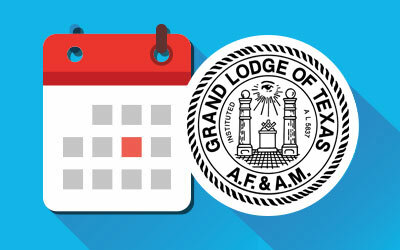 1157, Houston, Texas, and later transferred his membership to Pearland Lodge No. 1384 (which is now C.F. Spencer Lodge No. 1384), Pearland, Texas, where he served as Worshipful Master. Both mother and father were members of the Order of the Eastern Star, and served as Worthy Matron and Worthy Patron of Norma D. Allen Chapter of Houston. Elmer’s father was the Chapter Advisor of the Robert E. Lee Chapter, Order of DeMolay at Holland Lodge No. 1 in Houston, and was active in Scottish Rite, York Rite and Shrine activities. Elmer entered Robert E. Lee DeMolay Chapter in 1959; served as Master Councilor in 1960; selected as a Representative DeMolay by the International Supreme Council in 1960; received the Chevalier Award in 1961; and was South Texas Area Master Councilor in 1962. It was in 1966 at the age of twenty-one years that he was raised a Master Mason in Holland Lodge No. 1, and then continued his commitment to DeMolay by serving as Ritual Advisor to Robert E. Lee Chapter State Champion DeMolay Degree Team. Additional service to the Order of DeMolay includes that of a member of the Advisory Board of Dallas Chapter, 1986 through 1988. He received the DeMolay Legion of Honor in 1986. In 1977 Brother Murphey affiliated with Hillcrest Lodge No. 1318 in Dallas where he holds an Endowed Membership. He served as Worshipful Master of Hillcrest Lodge in 1983-1984, and received twenty-five year recognition in 1991. He again answered the call of his Lodge in 1999, and served as Worshipful Master in 1999-2000. His service to Grand Lodge began with his appointment in 1987 by Grand Master John E. `Jack’ Kelly to serve as District Deputy Grand Master in Masonic District No. 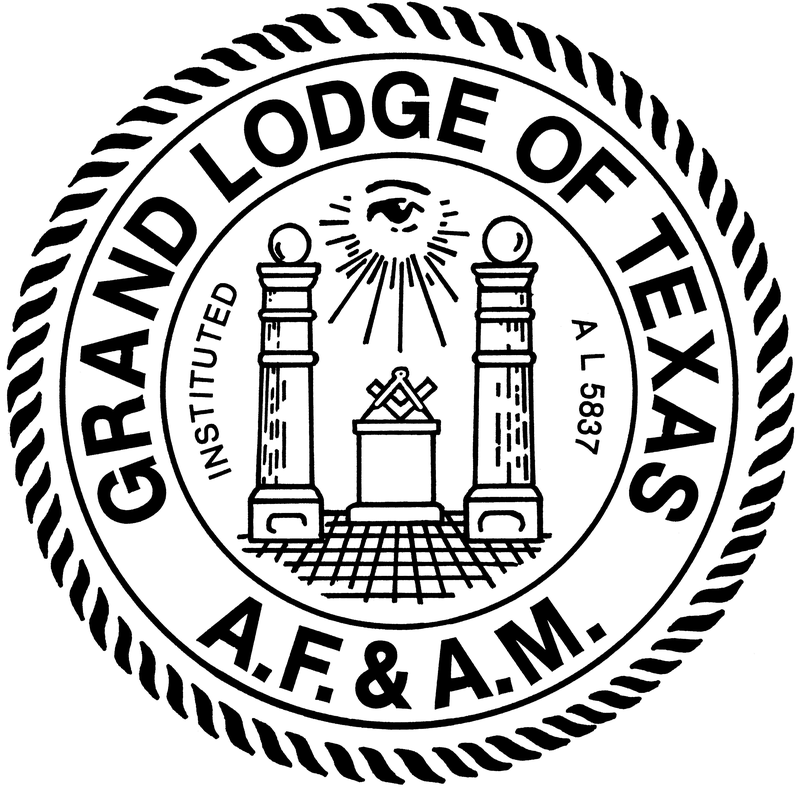 14-C. During that year he was named Grand Representative of the Grand Lodge of Texas to the Grand Lodge of Manitoba. In 1988, Grand Master Graham H. Childress appointed Elmer as Chairman of the Grand Lodge Committee on Titles, Deeds and Civil Law where he served for one year. In 1989, Grand Master Leonard P. Harvey appointed him to a seven-year term on the Committee on Masonic Jurisprudence, and he later filled an unexpired term on that committee. Under appointment of Grand Master W .M. 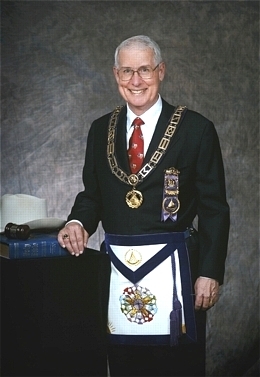 `Mike’ Gower, he served as Grand Orator of the Grand Lodge of Texas in 1999 while serving as Chairman of the Masonic Jurisprudence Committee. In 2001, Right Worshipful Reese L. Harrison, Jr., the newly elected Grand Junior Warden of the Grand Lodge, named Brother Murphey to serve as Grand Junior Steward, and at the 2001 Annual Grand Communication of the Grand Lodge, Elmer was elected to the office of Grand Junior Warden. In 1976 he received the Thirty-Second Degree of the Scottish Rite in the Valley of Dallas where he is an endowed member. He was for many years a member of the 17th Degree Team and is the Degree Master of the 31st Degree. He was invested with the Rank and Decoration of Knight Commander of the Court of Honour in 1987, and served as Wise Master of the Dallas Chapter of Rose Croix in 1988. In 1993, he was elevated to the rank of Thirty-Third Degree, Inspector General Honorary by the Supreme Council of the Ancient and Accepted Scottish Rite of Freemasonry, and has served as Director of the Work in the Dallas Valley since 1999. Companion and Sir Knight Murphey is a member of Love Field Chapter No. 478, Royal Arch Masons; Love Field Council No. 396, Royal and Select Masters and Alexander C. Garrett Commandery No. 103, Knights Templar. He holds membership in Lyle L. Cross York Rite College No. 147; St. Mark’s Conclave, Red Cross of Constantine; Rose of Sharon Council No. 149, Knight Masons; Holy Grail Council No. 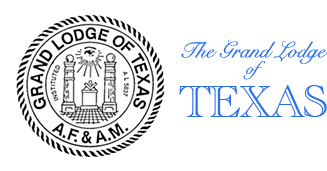 287, Allied Masonic Degrees; Texas College (Masonic), Societas Rosicruciana; Texas Lodge of Research; Hella Shrine; Audie L. Murphy Chapter, National Sojourners; Allah Grotto and is a Charter Endowed Member of Tranquility Lodge No. 2000.